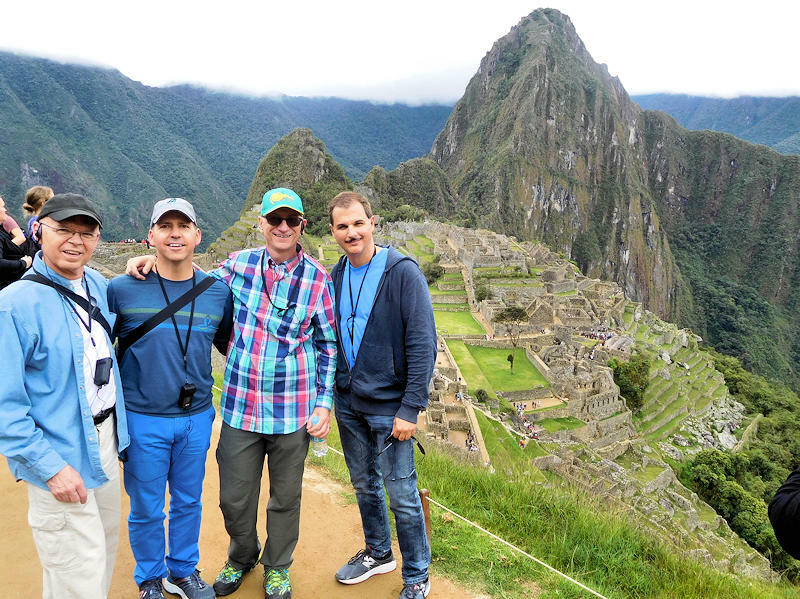 Machu Picchu was simply amazing to see in person, trying to imagine how It was built by the Incas around 1450. 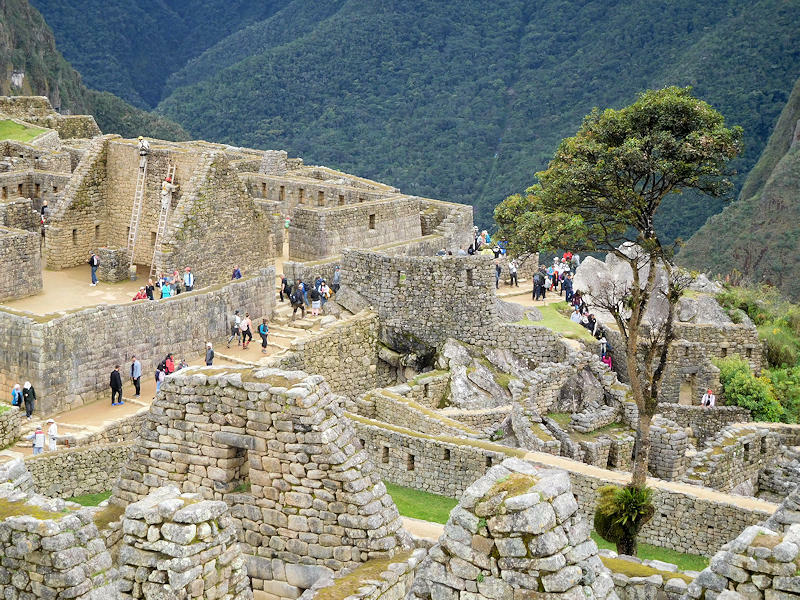 It was abandoned just a century later as the Spanish invaded Peru (but they never found it). 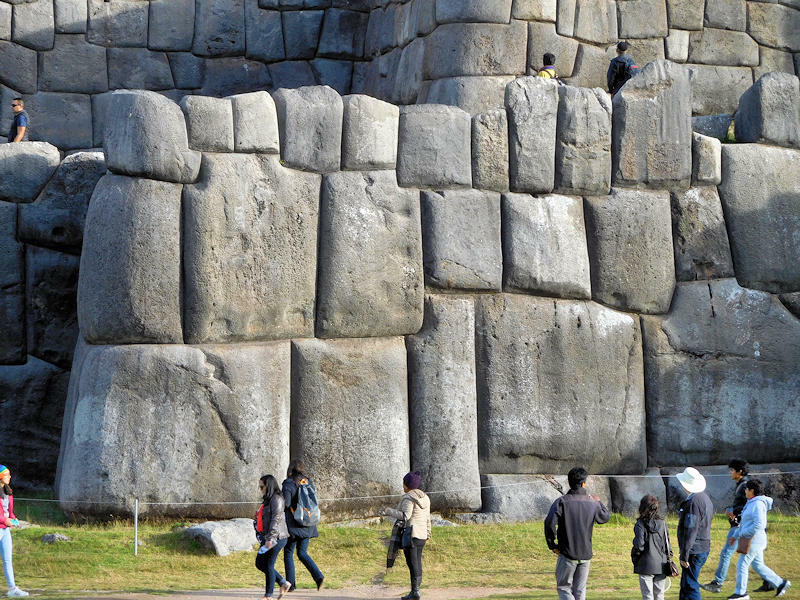 It was hidden away until 1911, discovered by a Yale historian. The guided tour unlocks many mysteries but create many more. It took a “semi-guide” tour through Monograms (part of Globus). Their 8-day tour started and ended in Lima. 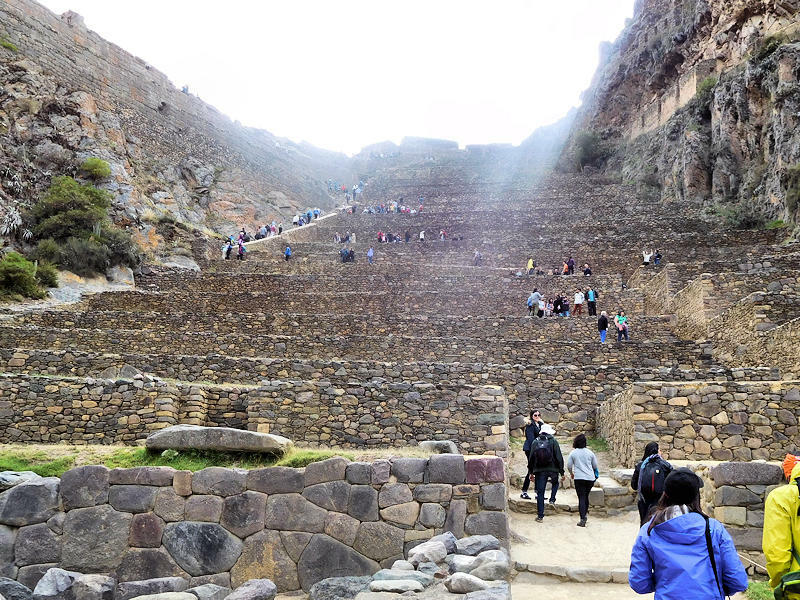 It included all hotels, transportation tickets, guided tours and several meals. A guide met us as we arrived in each town to get us started. We were in fantastic hands, but being on our own. You must buy tickets ahead since there’s a daily maximum to protect the site. Our tickets and guide were included in our tour package from Monograms. 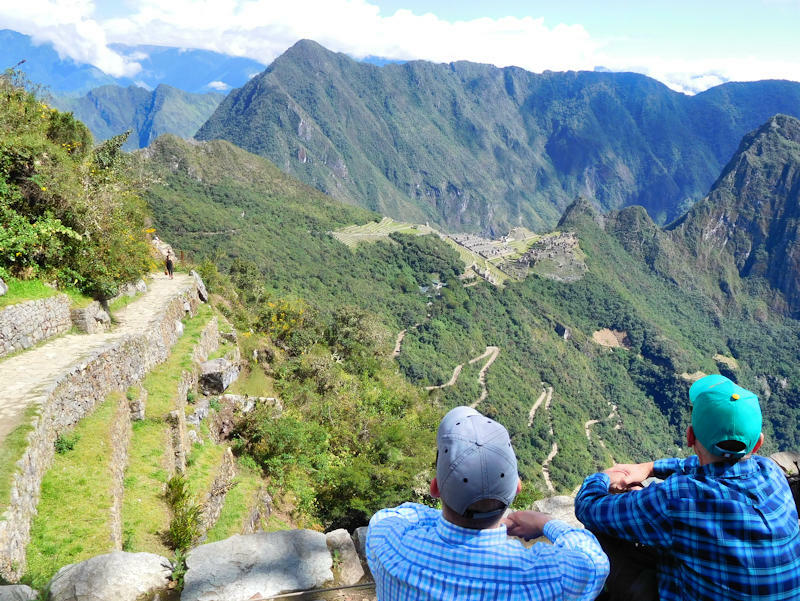 While some hike the Inca trail for four days to reach it, the must easier option is taking a bumpy bus ride to the entrance. It’s a short uphill walk to the ruins. 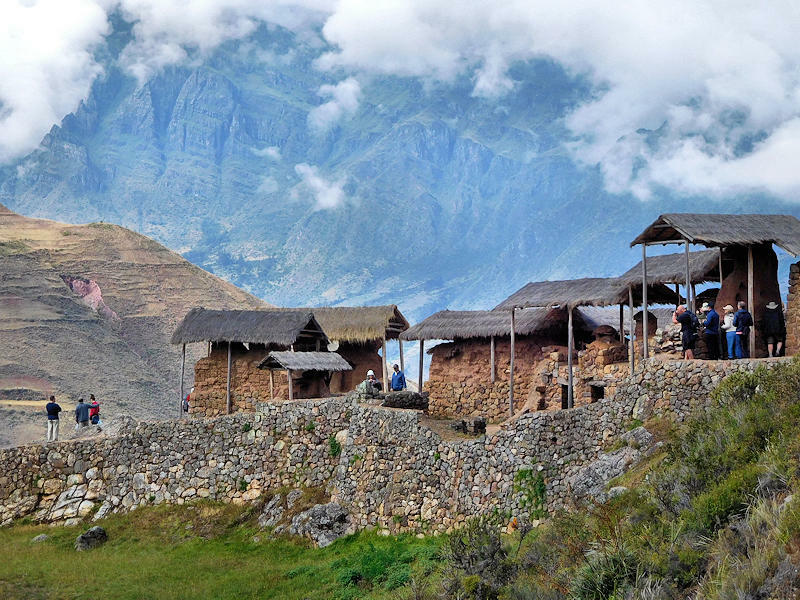 We stayed overnight at the town below Machu Picchu, Aguas Calientes. Our ticket included a visit on both days. After a guided tour the first day, we returned on our own in the morning to hike to the Sun Gate (about 2.5 miles). Find restrooms and a surprisingly nice restaurant at the entrance. 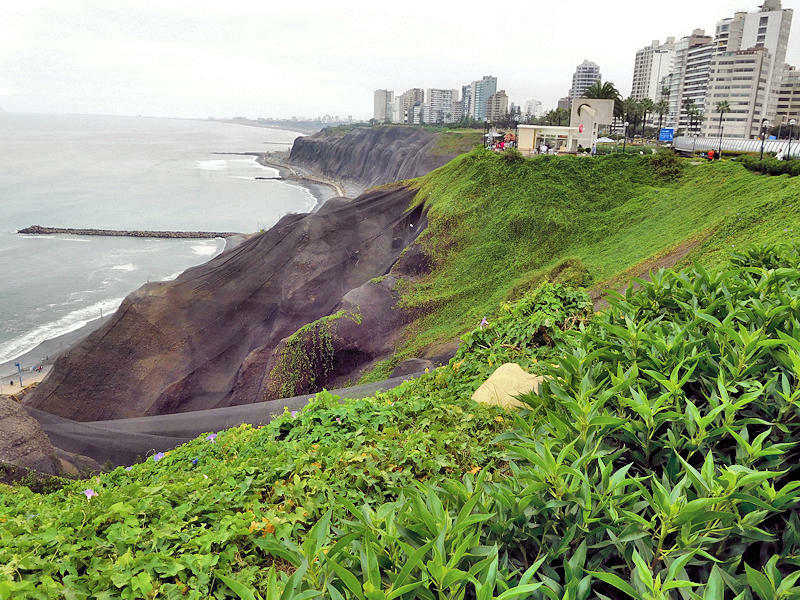 We had a full day to explore Lima after we arrived. It’s easy to explore by foot, and the hotel arranged a very inexpensive driver to take us to a few spots. 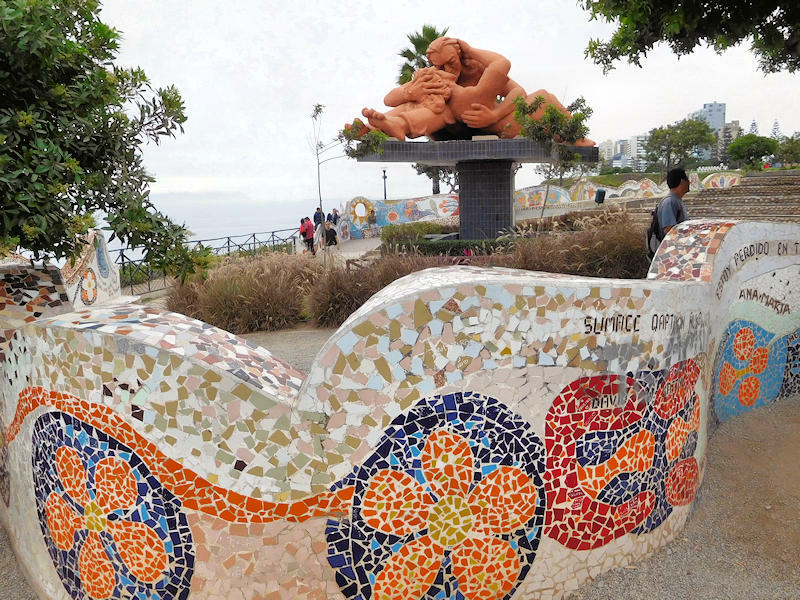 We stayed in the Miraflores neighborhood, the most popular area for tourists. It was a short walk to the oceanfront where there is the clifftop walkway through several parks with great views. 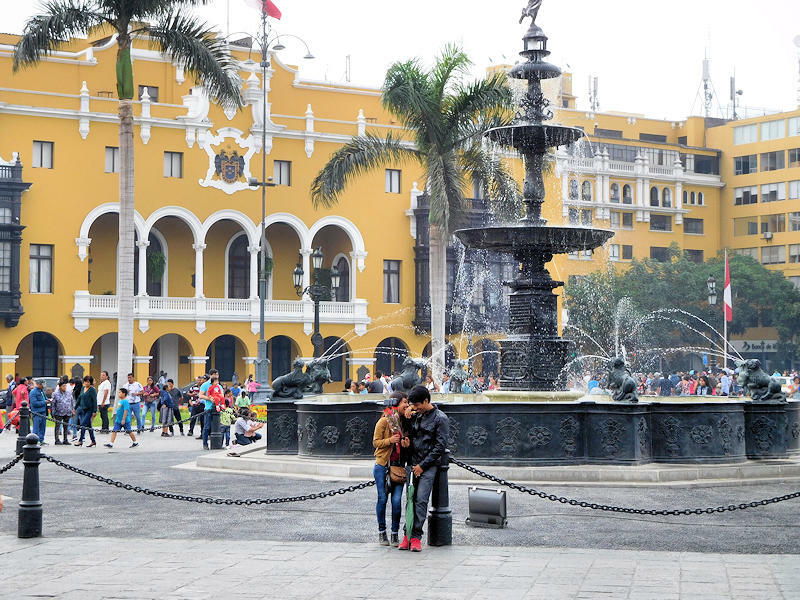 The historic center of Lima is on the UNESCO World Heritage List. 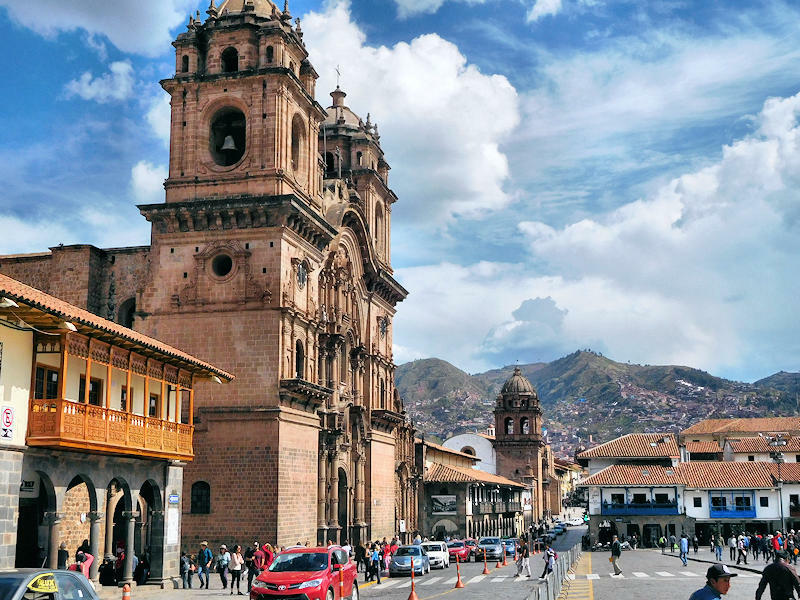 The Plaza de Armas is a popular gathering spot dating back to 1535. We enjoyed our evening visit to Circuito Magico del Agua (The Magic Water Circuit), the world’s largest fountain park in central Lima. 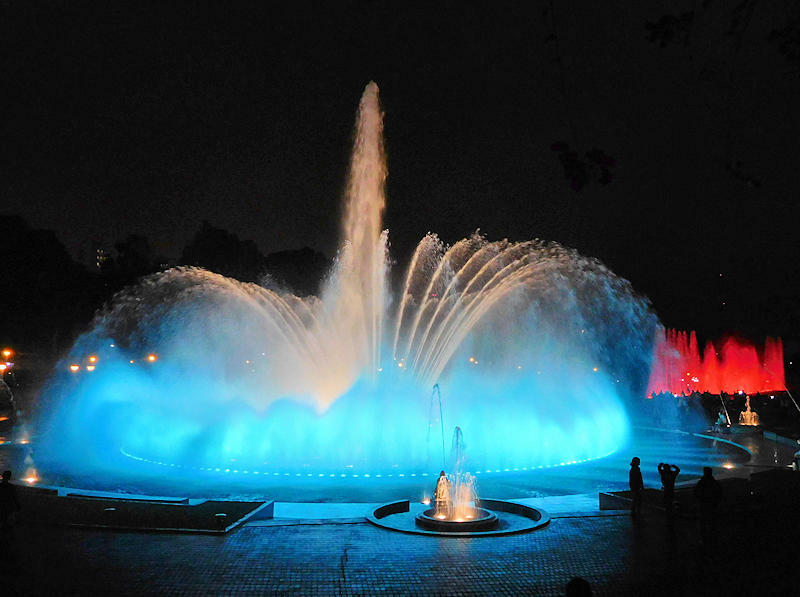 The creative fountains are highlighted each night by lights and lasers. 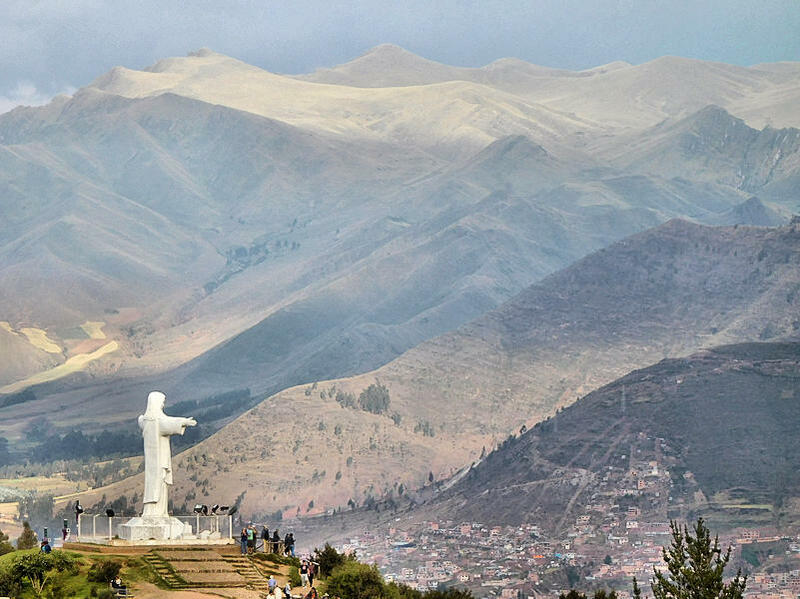 Cristo Blanco (Spanish for “white Christ”) atop Pukamuqu mountain at 11,811 feet elevation overlooking Cusco. 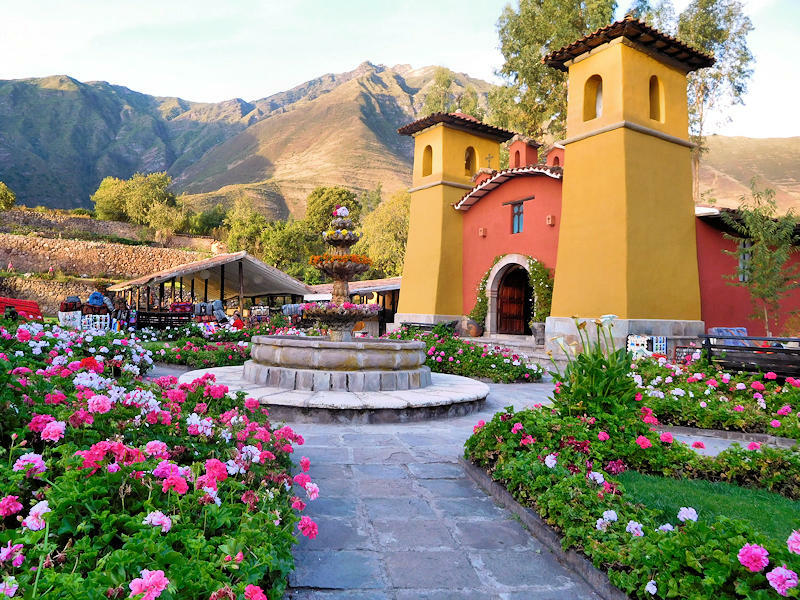 Our favorite place to stay was Posada Del Inca Yucay boutique hotel in the Sacred Valley, a former monastery is surrounded by the Andes. Tom, David, me and Frank! 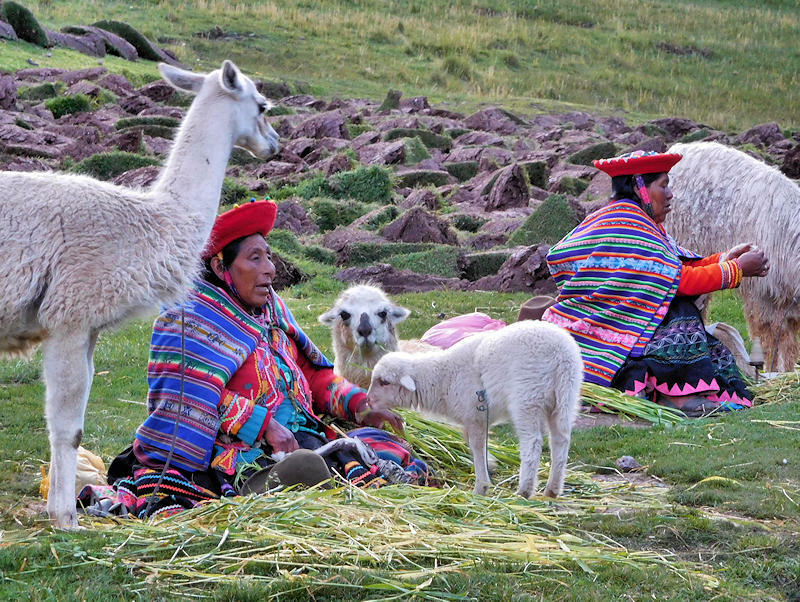 Day 3: Fly to Cusco. 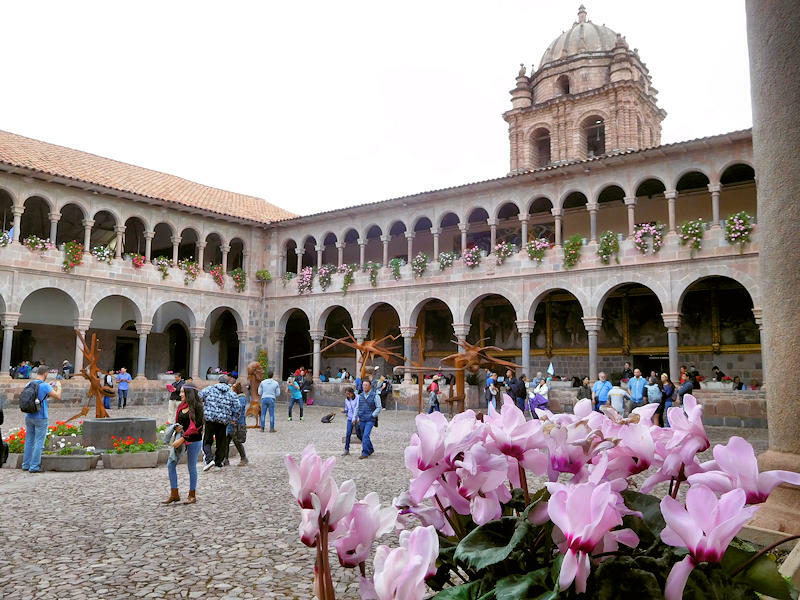 Tour the Santo Domingo Monastery and Plaza de Armas. 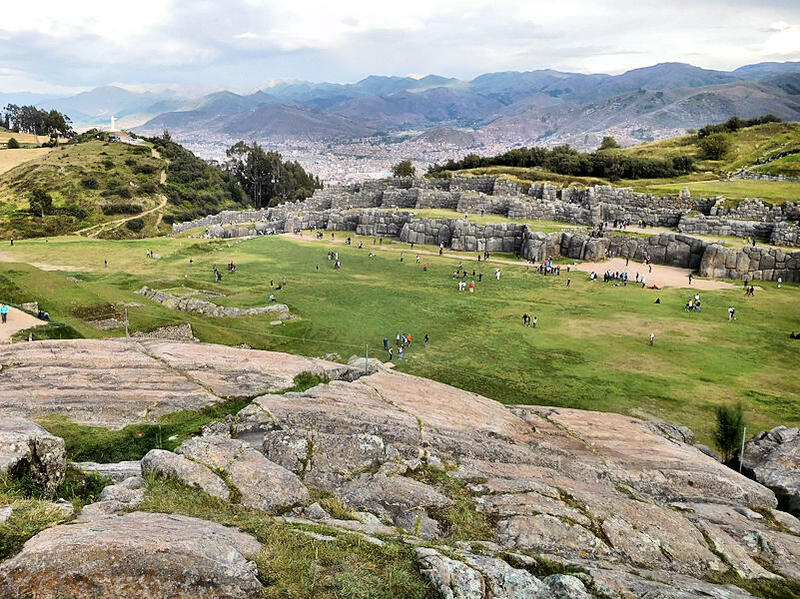 Take a short drive above city to see the ruins of Sacsayhuaman. 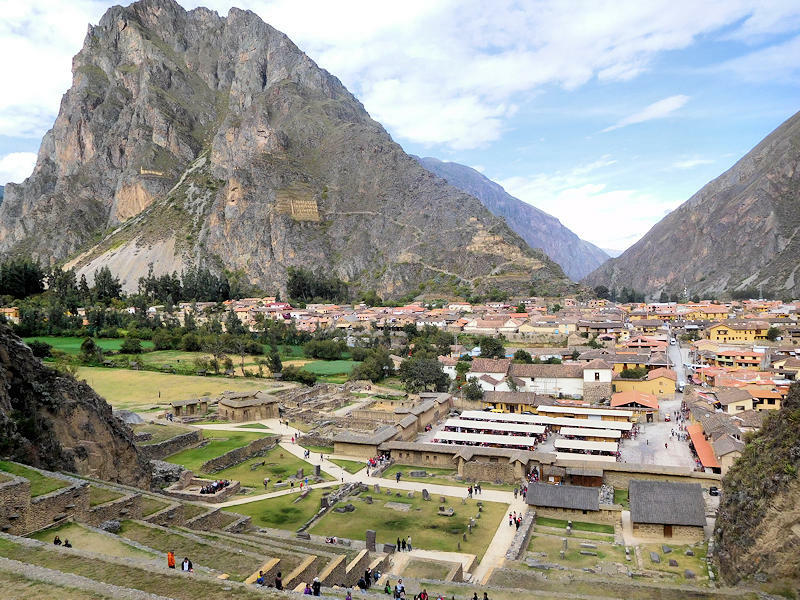 Day 4: Ride a motorcoach to the Urubamba Valley, the Sacred Valley of the Incas, stopping at the Awanakancha alpaca preserve, market town of Pisac and explore the ruins at Ollyantaytambo. 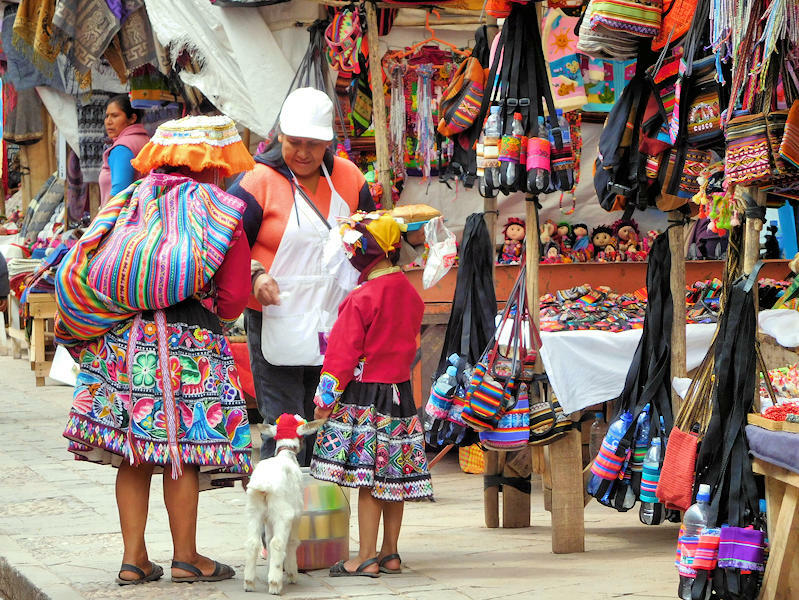 Day 5: Board a train for Machu Picchu and stay overnight in Aguas Calientes. 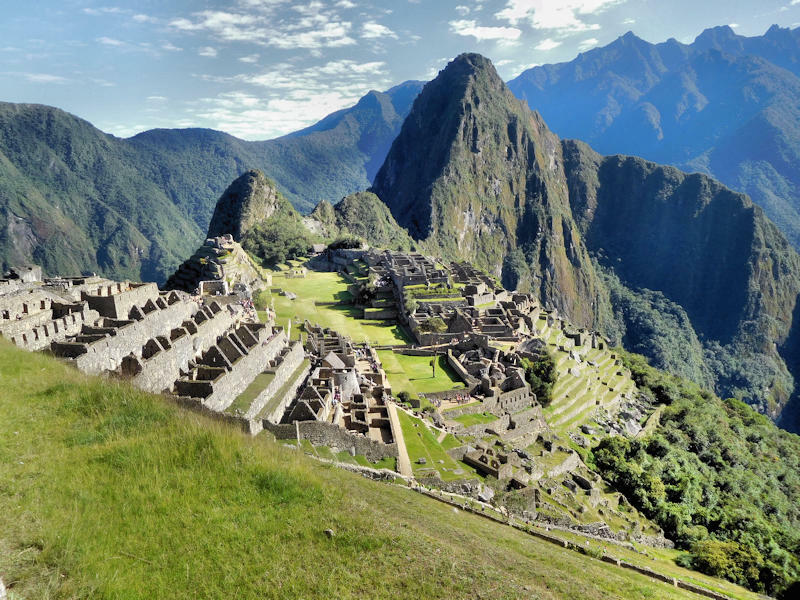 Day 6: Tour Machu Picchu in the morning. 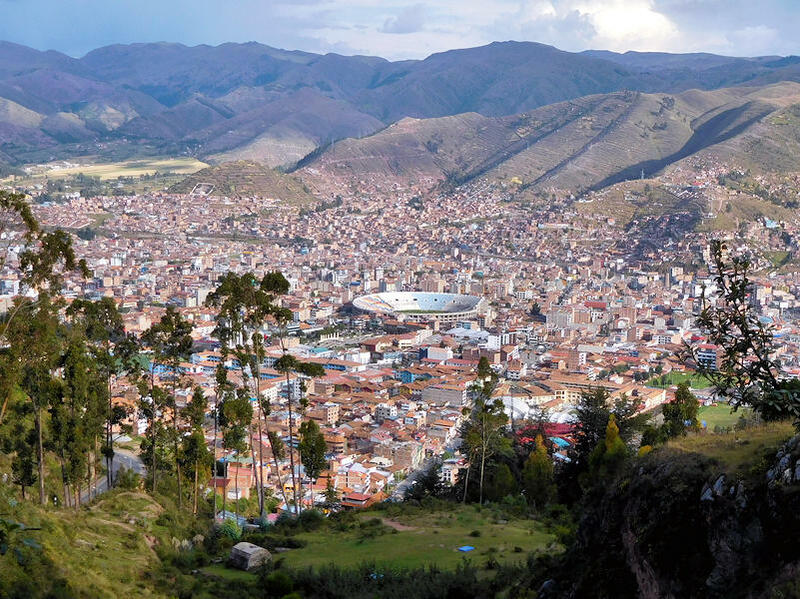 Take train to Cusco in evening.